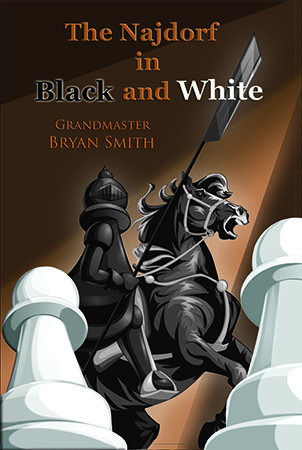 Because of having played the Najdorf system during my formative years in the last century I was interested in learning about GM Bryan Smith’s new book on the opening (https://mongoosepress.com/the-najdorf-in-black-and-white/). at the 2009 Kentucky Open where he took first place by a half point. 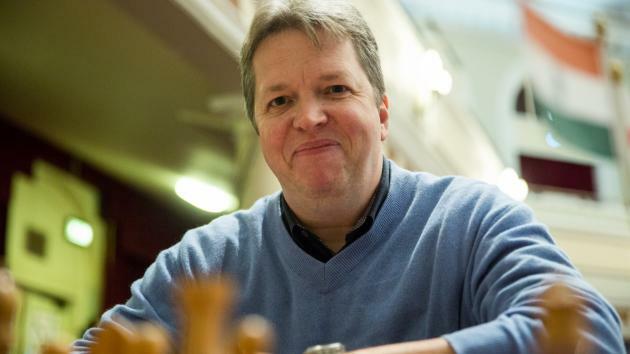 There were myriad problems with the tournament, directed by Alan Priest, which included no electricity for the lighting in the first couple of rounds, so it was played in semi-darkness, which seemed to not bother Mr. Priest. 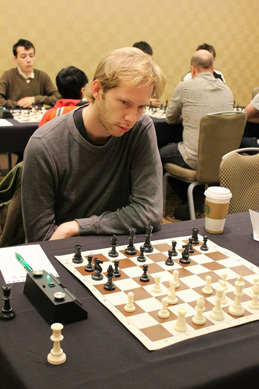 After developing a splitting headache, due to the poor lighting, and losing a game, I withdrew from the tournament, but returned the following day to spectate. While Bryan was waiting on the last round games to finish a conversation developed. 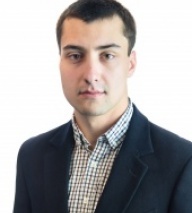 Bryan is a quite, taciturn young man, the kind of fellow who lets his moves do his talking. 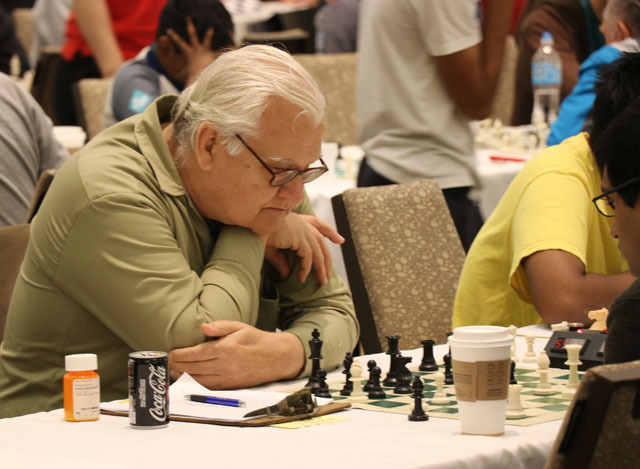 I learned he was from Anchorage Alaska, and he is now the first-ever Grandmaster from Alaska. My home state of Georgia has yet to produce a home-grown GM. I recall asking Bryan why he decided to travel to Louisville in lieu of playing in one of the other, larger, tournaments in his area. He answered in a way that said he would rather be a big fish in a small pond that weekend rather than being a smaller fish in a much larger pond. “Better odds of taking home money?” I asked, and he produced a grin. We talked for some time and I transcribed what was recalled of the conversation later that day, but never used it, much to my regret. Bryan graciously answered my questions so what I recall was an enjoyable afternoon conversation with one of the nicest GM’s with whom I have conversed. et al, cannot be published today because words, conveying ideas, are predominate. This book proves those writers wrong. Most of the variations included are short enough one does not need a board with which to visualize them. One of the players from my early days told me he liked to read a Chess book without using a board. There are enough diagrams for one to utilize this book in that way, which is exactly how I read the book. Then I read it again using a board and pieces because it is that good. The book begins with an Introduction: The Cadillac of Openings. “With this book, I present a collection of games played in the Najdorf Sicilian. 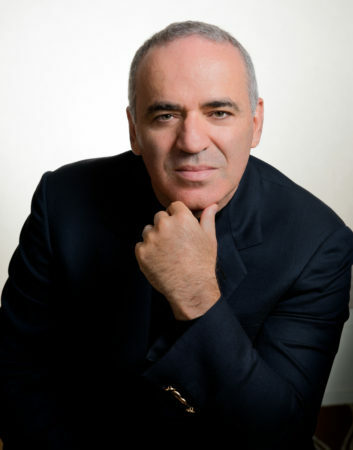 The purpose of this book is not to be exhaustive – that would require at least ten times the content, and even then it would not encompass a fraction of the analysis and relevant games played in the Najdorf. This book also does not suggest a repertoire for either White or Black – although players can glean some ideas, since I have generally picked games played in the lines I favor. I think it is dishonest for a writer to try to portray an opening in only a positive light: ultimately, even the most objective writers of repertoire books have to massage the facts and minimize the problems of an opening – and every opening has them. The book will be judged by the criteria chosen by the author. The question is whether Bryan delivered on his promise. The answer is a resounding “Yes!” In Baseball terms this book is like hitting a walk-off grand slam home run in the bottom of the ninth inning of the seventh game of the World Series! When first beginning the Chess road the Dragon variation was very popular. Once a strong player advocated against purchasing a book on the Dragon because “It is written in disappearing ink.” He said that because the theory was changing so fast by the time you read the book, much of it had been refuted. The same could have been said about the Najdorf system. 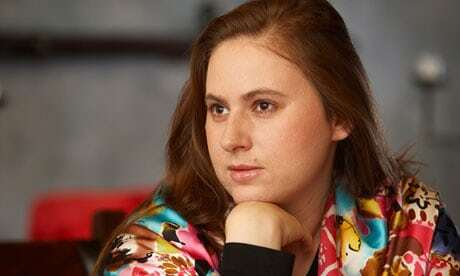 I also recall reading something about there being players who knew the Najdorf, but did not know Chess. I was one of those people, because like others, I knew the Najdorf, but not Chess. After leaving Chess for Backgammon, upon my return to Chess I simply did not have time to keep abreast of the constantly changing theory of the Najdorf system, so decided to learn, and play, other openings. Yet what I learned about Bobby Fischer’s favorite opening has stuck with me, while the other openings never infused me with the confidence felt when playing the Najdorf system. After the introduction, and before the first chapter, one finds, The Development Of the Najdorf Sicilian, a seven page historical perspective of the Najdorf system. It begins, “The Najdorf can trace its origins to the nineteenth-century German master Louis Paulsen. 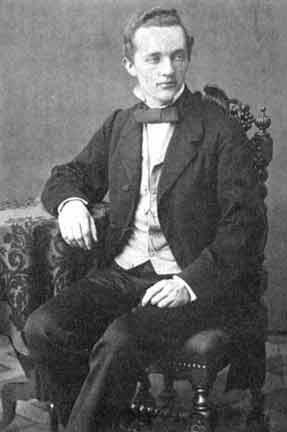 Louis Paulsen was one of the most interesting, and underappreciated, players from the early days of the nineteenth century. Paulsen’s ideas influenced the development of the Royal game greatly. I played openings such as the C26 Vienna, Paulsen-Mieses variation, for example. Chapter one is titled, Va Banque: 6.Bg5. After 1. e4 c5 2. Nf3 d6 3. d4 cxd4 4. Nxd4 Nf6 5. Nc3 a6 6. Bg5 e6 7. f4 the author advocates Qc7. I never played any move other than 7…Be7 because, well, you know, that is the move played by Bobby Fischer. After studying the games, and positions, I came to understand why the author would advocate the move Qc7 for those taking their first Najdorf steps. The amount of material in the main line can be daunting for a neophyte. 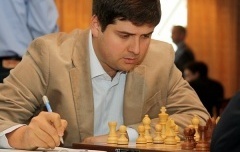 The fourth game of the chapter is one in which the author had white against Hristos Banikas at Retymnon in 2009. After the obligatory first five moves of the Najdorf Bryan played 6 Bg5, which was answered with Nbd7. 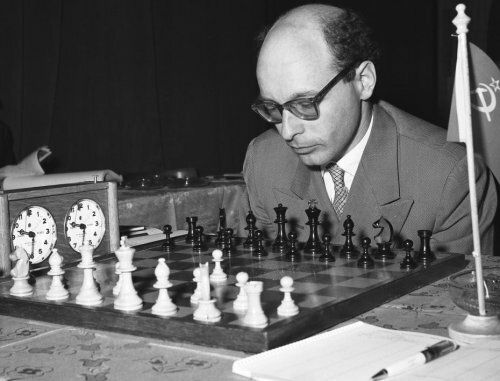 “An old and new move – it was played frequently in the 1950s and again in the 2010s – and not so much in-between.” After 7 f4 we have Qc7. One can turn to almost any page and find nuggets of wisdom such as the above illustrating the aims of BOTH SIDES! 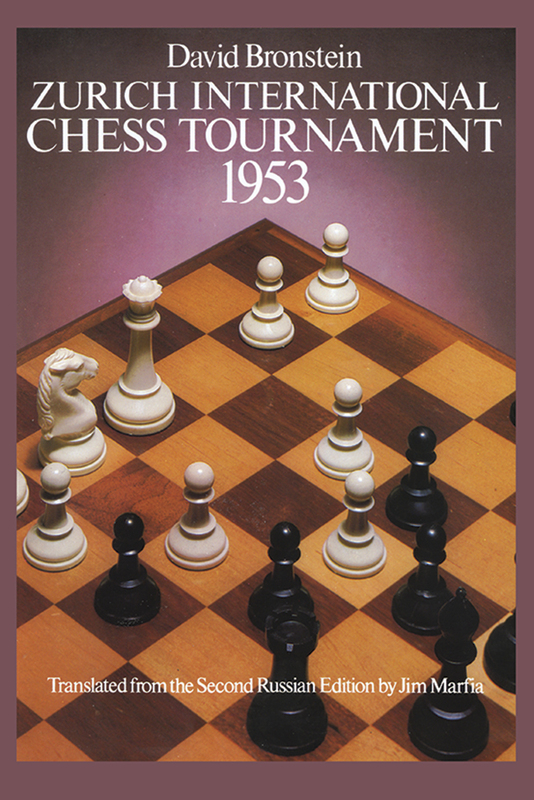 If one wishes to play the Najdorf system, or play against it, this is the book for you. 1. e4 c5 2. Nf3 d6 3. d4 cxd4 4. Nxd4 Nf6 5. Nc3 a6 6.Qf3 e6 7. b3 Qb6 8. Nde2 Qc7 9. Bb2 b5 10. a3 Bb7 11. g4 d5 12. exd5 Nxd5 13. This book achieves its aim, hitting the target with a bullseye!